This month the Faculty of Sexual and Reproductive Health (FSRH) released their new guidelines on the use of hormonal contraception and the newspapers went WILD! That’s because the new guidance states that there is no health benefit to having the Pill-free week, and therefore now supports the use of tailored regimens which include using 3 packs in a row with no break, or shortening the pill-free week to 4 days. The media states this is because the Pill was designed to be taken with a 7-day break to appease the Pope with the hope of convincing him to accept it as a contraceptive because if it mimicks the natural cycle it may appear more acceptable to him. The reports further went on to say that doctors have been misleading women to believe they need to take a break for the benefit of their health additionally, and that this unnecessary break may make the Pill less effective. - The combined oral contraceptive pill (COCP) contains a synthetic oestrogen and progesterone. There are numerous different combinations and doses with over 20 different COCP’s currently on the UK market. - It is traditionally taken in 21/7 fashion: one pill per day for 21 days and then a 7-day break. You will bleed during this break due to the withdrawal of your hormones during this time. - The bleed you have on the Pill is not a ‘period’ as such. It’s still your womb lining falling away, but it didn’t happen due to your own natural hormone production, it’s because the body is ‘withdrawing’ from the lack of COCP. I previously did a post on ‘fake periods’ so check it out here. - The Pill also keeps the lining of the womb relatively thin which is why the bleeds you have on the Pill are often lighter than without. - The riskiest time for missing a pill is at the end or the start of the Pill pack (ie. having an 8 day break instead of 7, or missing Day 2 for example) because you can get something called ‘escape ovulation’, where the lack of hormones for longer than designed allows your ovaries to jump back into business and pop out an egg, which could then result in pregnancy. This is especially true for the modern COCP’s with their relatively low doses of hormones that don’t suppress the ovary as strongly as the older, higher dose versions. - It was thought that giving women a bleed every month would be seen as a reassuring sign that they were not pregnant. Time to take a break from the break? - There is now sufficient evidence to show there are no health risks or benefits associated with taking a 7-day break. - The benefit is skipping one or several periods, include less bleeding, less period pain, fewer headaches for some women who experience oestrogen-withdrawal headaches and less PMS. It’s commonly done to reduce the symptoms of endometriosis and reduce recurrence after surgery. - Fertility is also not adversely affected by using an extended regime. Why have I not been told this before? - Use of extended regimes is currently ‘off-licence’. This is nothing to do with buying a cheap bottle of vino and the newspaper. It means that a medication is being prescribed in a different way or for a purpose other than that described by the manufacturer in the instruction leaflet. In this case a doctor takes greater responsibility for this prescription and must feel they can adequately support their decision with both evidence and clinical experience. - That’s why gynaecologist have been recommending extended regimes for a long time. But I wouldn’t expect a GP to do this automatically. They have so many different areas of medicine to know about, so it’s difficult to expect them to go against the prescribing rules without explicit guidelines like a gynaecologist might in hospital, since this is our medical niche. 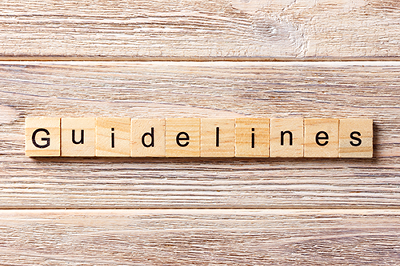 - Given that there is now enough published evidence to support a change in guidelines, your GP may be more inclined to offer an extended regime. If you want to do that, I would recommend discussing it with them at your next prescription review so that they can talk to you about which regime might be the most suitable. - Many women will experience some bloating, spotting or cramping after taking several packets back to back. - This can be relieved by using a regime that does given you a few days break every few months. Again, speak to your prescriber to work out what’s best for you. - There is now sufficient evidence to support the safe use of the pill for longer than 21 days in a row to decrease the number of periods you have per year, which has lead to a change in the guidelines issued to doctors and contraceptive prescribers. - This may make the pill slightly more effective because there’s less chance of missing a pill either side of the ‘Pill-free week’ if you’re not having a ‘Pill-free week’ as often. - Talk to your prescriber if you want to change how you take your Pill. NB. All of this applies to the COCP and not the progesterone-only pill (POP), which is always designed to be taken every day without a break.